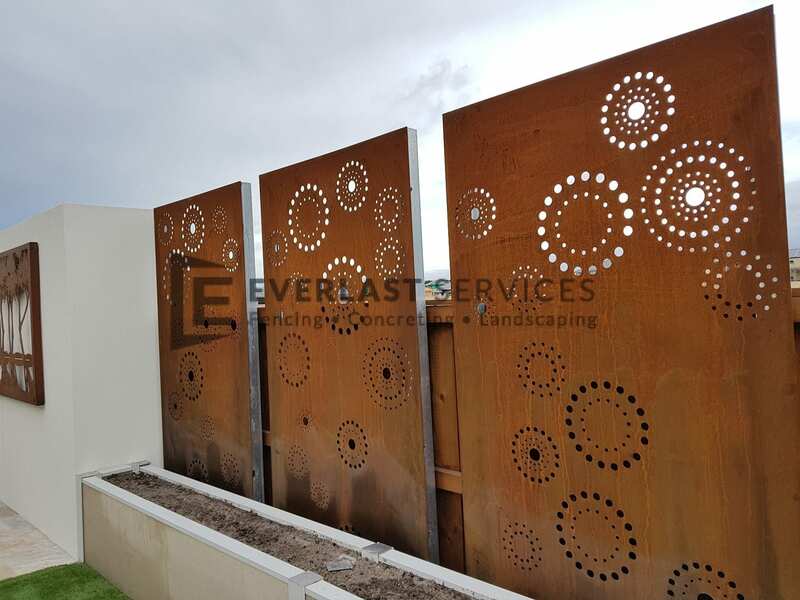 As always, Everlast Services were able to deliver an outstanding finished product by paying careful attention to customer needs and displaying first-rate customer care throughout the process. 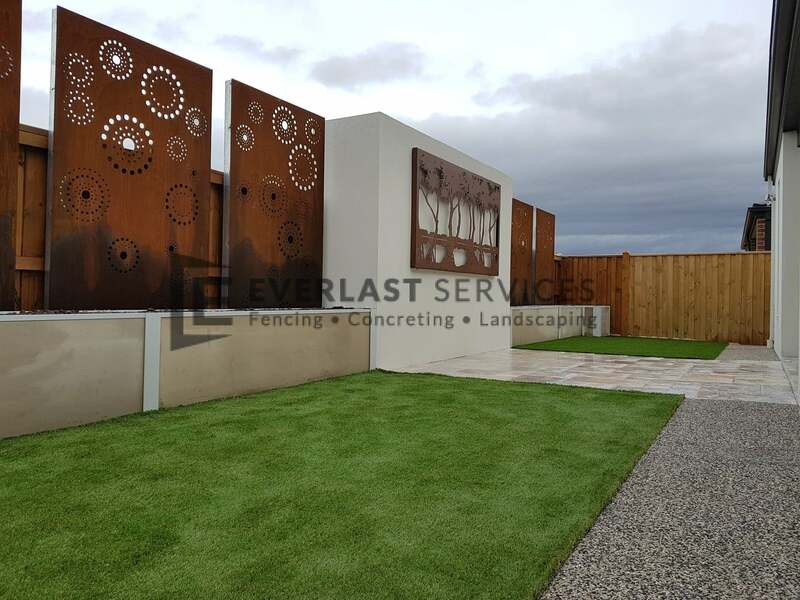 The owners of this residence in Point Cook wanted to turn their backyard into a space that could be enjoyed all year round. They wanted something modern and low-maintenance, with a focus on design. 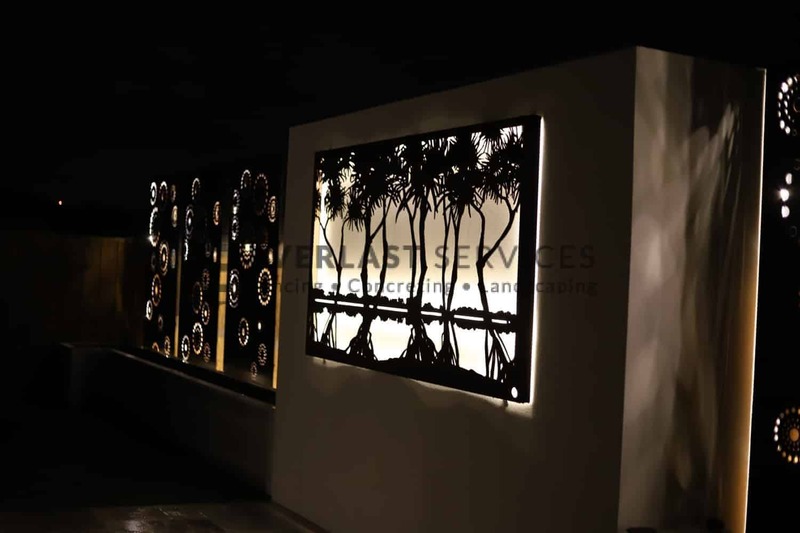 With careful material selection and cutting-edge design techniques, we were able to turn the space into something modern and artistic. Durable and low-maintenance materials mean this space will look exactly like the day we left it for many years to come. It’s also a 24-hour space, thanks to the ingenious use of lighting. 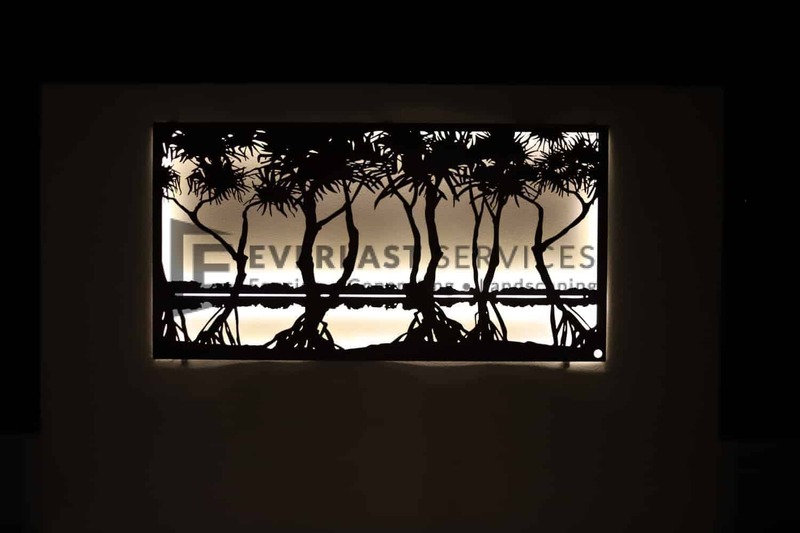 Custom Laser Cut Screening Wall Art: A functional design piece that is unique and designed to last forever. 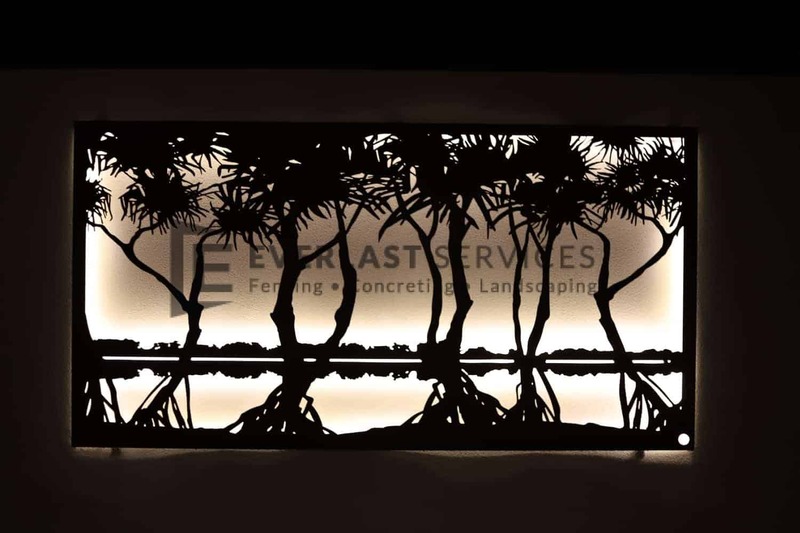 Rendered Walls: Contrasts perfectly with the laser cut screening and creates beautiful planter boxes. 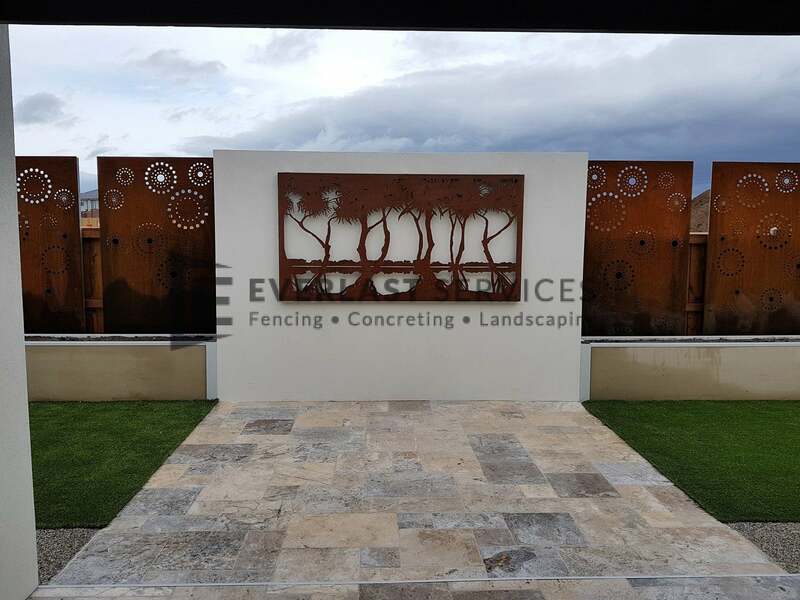 Planter boxes are a great design element as they offer the chance for endless customisation and change. 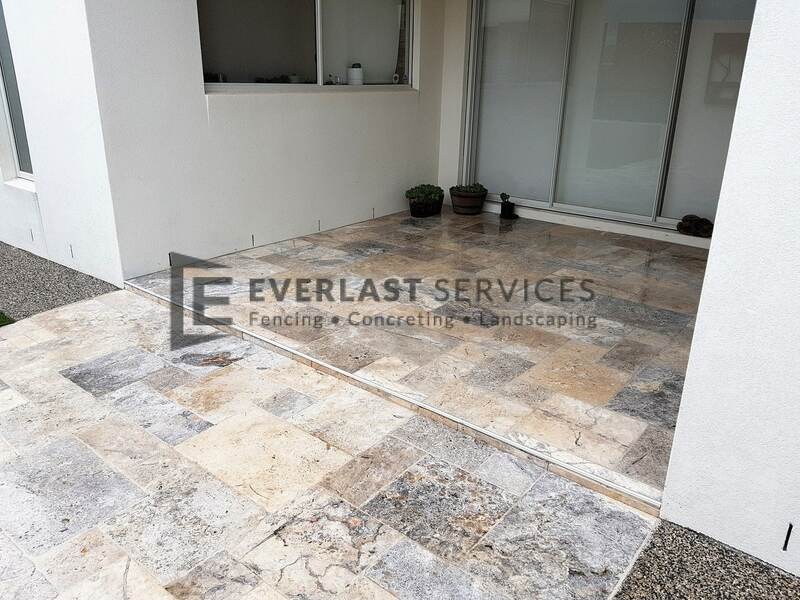 French Travertine Paving: A high-end material for a high-end backyard. 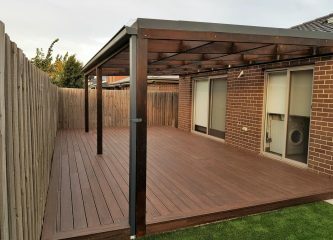 It looks beautiful and provides all the durability and low-maintenance that was called for in this project. Exposed Aggregate Concrete Paths: Gives a beautiful texture to the backyard, which contrasts with the smooth travertine. It’s also a functional element as it offers a non-slip surface to move around the grass. 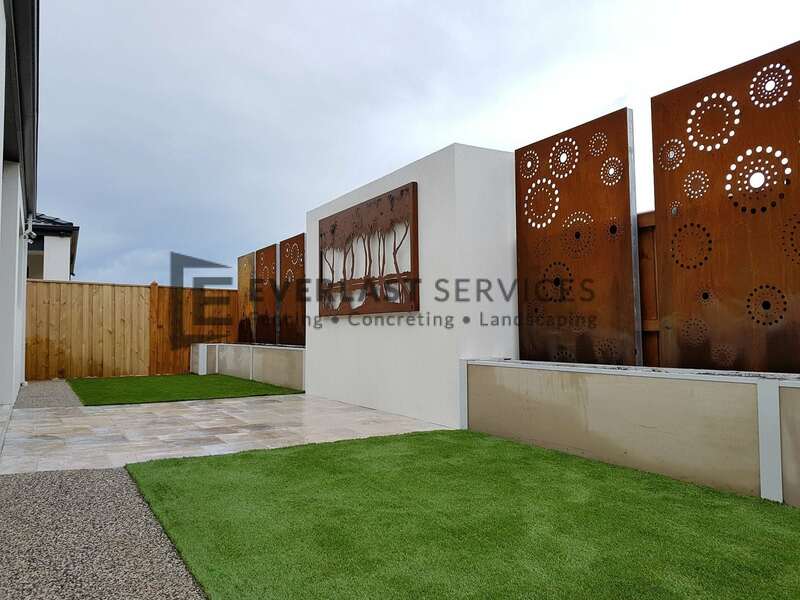 Premium Artificial Grass: This is the ultimate low-maintenance design piece. 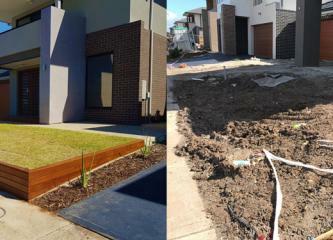 Every Aussie backyard needs a lawn, but the real thing is notoriously labour-intensive. Our artificial turf looks just like the real thing, and there’s no mowing, watering or edging required. 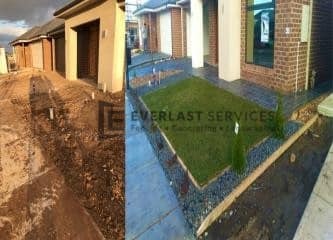 This project is a testament to our skilled landscaping team. 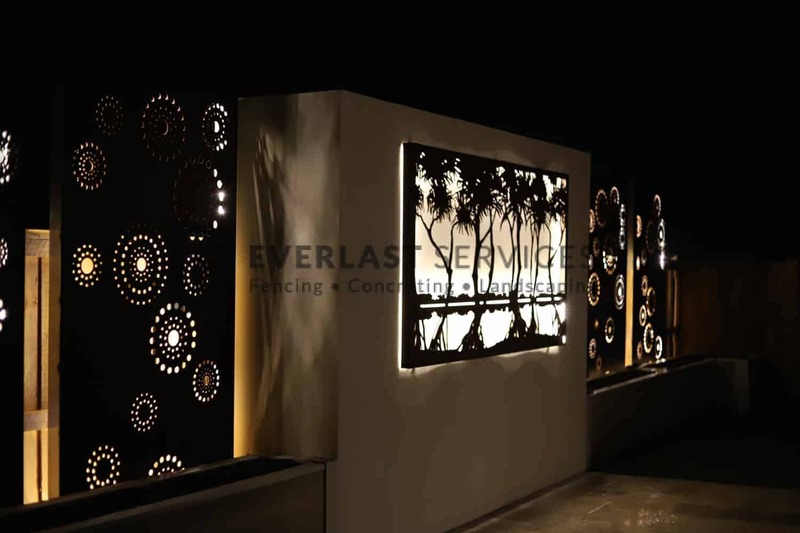 Their ability to listen to the vision and desire of the customer and deliver something that they love is a testament to Everlast’s commitment to quality artistry and excellent customer care. Our ability to take care of the entire process, from design to completion meant that the client had one contact number to correspond with the whole time and they only had one invoice to pay at the end. That’s the simplicity and clarity every client deserves, and it’s what we offer. We wish the owners many happy years in the beautiful backyard.